4 Bedroom Detached House For Sale in Yeovil for Guide Price £249,950. 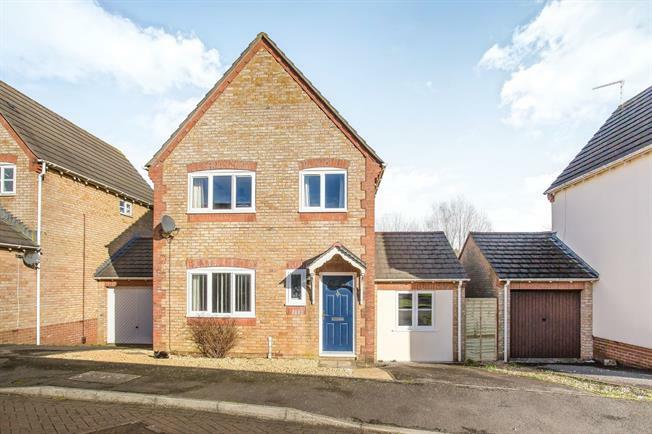 This delightful property is well positioned within the popular Abbey Manor development on the western side of Yeovil. Upon entering the property you are welcomed by a spacious entrance hall, providing access to the living room and downstairs cupboard previously used as a cloakroom. There is also a spacious fully fitted kitchen/diner and en-suite bedroom on the ground floor. To the first floor there are three good size bedrooms, with the master benefitting from an en-suite bathroom and there is also a family bathroom. Accessed via part glazed entrance door and providing access to the living room, stairs to first floor and cupboard which used to house downstairs WC and still offers plumbing to do so should one desire. Presented with a corner shower unit, vanity wash hand basin, WC and extractor fan. With window to rear, built in wardrobe and carpeting throughout. With window to front and carpeting throughout. With window to rear and suite comprising bath with mixer taps, wash hand basin, WC, tile effect vinyl flooring and part tiled walls. Tiererd rear garden with steps leading down to a gravel area, workshop with both light and power. Outside area also compirses side access through coded gate is fully enclosed with security light.